Beijing might have overplayed its hand on South Korea’s possible THAAD deployment. South Korea is stuck between a rock and a hard place. After news leaked that the United States is exploring the possibility of deploying a Terminal High Altitude Area Defense (THAAD) battery in South Korea to counter North Korean missile threats, China voiced a strong objection, claiming that such a deployment would threaten its security. If the U.S. decides to make a formal request, Seoul will face an uncomfortable choice between its indispensable security provider and its largest trading partner – and China might not like the result. China claims that THAAD – in particular the Army Navy/Transportable Radar Surveillance and Control Model 2 (AN/TPY-2) X-band radar that would accompany the interceptors – is unnecessary to counter North Korean missiles. Many Chinese analysts believe that, in fact, an overly hyped North Korean threat is Washington’s excuse to justify deployment of a system that actually targets China. They argue that having an AN/TPY-2 in South Korea would improve the U.S. ability to intercept Chinese missiles and could even threaten the reliability of China’s nuclear second-strike capability. While there is some merit to Chinese military concerns, they are overblown. A THAAD battery on the Korean peninsula could, in theory, improve U.S. capability against Chinese missiles, but only at the margin and certainly not enough to threaten China’s second strike capability. China is exaggerating this threat to drive a wedge between Seoul and Washington and prevent future deployments. The North Korean threat is real, and the U.S. response is justified. The Kim Jong-un regime is belligerent, unpredictable, and continues to rattle its nuclear saber against the United States and its allies. More alarming still, the DPRK’s nuclear weapon and missile programs continue to advance. It can already target South Korea, Japan, and potentially Guam, and Pyongyang may even be able to threaten the U.S. homeland. There is debate about the reliability of North Korea’s missiles and its ability to miniaturize a nuclear device, but, given the potential consequences, the United States, South Korea, and Japan must err on the side of caution. For North Korea, the ability to carry out a limited, discriminatory nuclear strike is strategically essential. North Korea knows it has little chance in a protracted conventional conflict with the United States and its allies. Therefore, its likeliest path to victory is a limited nuclear strike – perhaps over the open ocean or on a relatively remote military target – accompanied by a threat to launch additional weapons toward cities if the United States, South Korea, or Japan escalates. North Korea, in any future conventional conflict, will face enormous pressure to use nuclear weapons early – a premise most Chinese analysts have yet to accept. Missile defense plays a critical role in countering this strategy. By raising doubts about North Korea’s ability to carry out limited, precision strikes, the United States and its allies give Pyongyang reason to reconsider nuclear use in the first place. If North Korea’s choice is between a large nuclear strike that is sure to trigger massive retaliation and no nuclear use, it may well choose the latter. Just as important, even if missile defense fails to deter North Korea from using nuclear weapons, it will help to limit damage, potentially saving millions of lives. The U.S. desire to deploy THAAD in South Korea should thus come as no surprise to China. Since the 2010 Ballistic Missile Defense Review, the United States has committed to expanding its missile defense architecture as the North Korea threat evolves. In March 2013, then Secretary of Defense Chuck Hagel, noting North Korean advances, announced that the United States would activate 14 additional ground based midcourse interceptors (GBIs) at Ft. Greely, Alaska – nearly a 50 percent increase – and deploy an additional X-band radar in Japan (which arrived at the Kyogamisaki Communications Site in in December 2014). In April 2013, the United States deployed a THAAD battery to Guam. While U.S. GBIs, Patriot Advanced Capability-3 (PAC-3) batteries, and Standard Missile-3 (SM-3) interceptors are capable, THAAD batteries containing AN/TPY-2 radars are the most sophisticated missile defense systems in the world. AN/TPY-2 radars are extremely sensitive and, if appropriately located, can acquire targets in their ascent phase, and precisely track them in their terminal phase. With this information, THAAD interceptors are so accurate that they can rely on pure kinetic energy – hit-to-kill – rather than warheads to destroy their targets. Yet, while extremely capable, THAAD interceptors in South Korea pose no direct threat to China. THAAD is a terminal system, meaning that it can only intercept missiles in their final phase of flight with a maximum intercept range of about 200 kilometers. In essence, the only Chinese missiles that a THAAD battery on the peninsula could intercept would be those aimed at South Korea. Similarly, an X-band radar in South Korea should not be a major concern for China. AN/TPY-2 radars have two modes of operation: either as a forward-based target identification system or as a terminal tracking system. 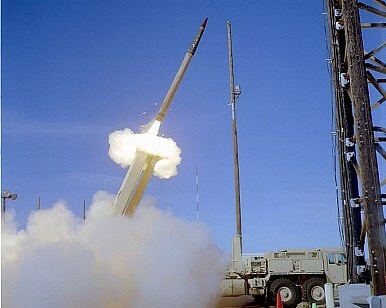 China’s concern is that an AN/TPY-2 in the first mode could look deep into China and link to other missile defense systems; in fact, however, the radar in Korea would need to be in the latter mode for THAAD interceptors there to be most effective, thus offering little improvement in the US ability to track missiles launched in China. Ironically, this is largely a self-inflicted wound for China. If Beijing had done more to limit North Korea’s missile and nuclear programs and punish its belligerence, then there would have been little or no need (or the political will) in either Washington or Seoul for additional missile defense deployments. U.S. missile defense systems in East Asia are targeted against North Korea, and they will expand in size and sophistication as long as the North Korean nuclear and missile programs continue to advance. The sooner China accepts this, the better. John K. Warden ([email protected]) is a WSD-Handa Fellow at the Pacific Forum CSIS in Honolulu; Brad Glosserman ([email protected]) is the Executive Director.